Over the years, I’ve been asked a lot of questions about my name. The same questions. Over and over again. So I decided to post them here and have a few laughs at their (and my) expense. This page was easily the most requested page on my previous website, which is now defunct a long time ago due to neglect and the take over of a cyber-squatter (I am not going to do that idiot any favours by even mentioning that domain-name. Yes I’m bitter! :-) ). Since then, I have seen copies of the FAQ hosted in other places, which makes me smile. Q: Infamous Zoltan FAQ? Why haven’t I ever heard of it before? Q: Is Zoltan your real name? A: Yes … it was the name I was given at birth. Really. Q: Oh c’mon! It’s some sort of Goth pseudonym/IRC nick that you made up, right? A: No, really … it is my real name. Q: Oh Please! What kind of name is that? A: It is a real name. It is Hungarian. A: Well, not really. My father is of Ukrainian descent and my mother is Japanese. Q: Now really! Do you expect me to believe that? A: At this point, I don’t care what you believe. Q: But I thought your name was Zardoz. Q: Hey … aren’t you partly Russian too? A: That has been a subject of debate in my family for a while. Some people think that my fraternal grandfather was partly Russian (he spoke fluent Russian). Others disagree. I’ll let you know when these two halves of my family start speaking to each other again. A: * Sigh *. No … Zoltan. A: No … that was Zolta*r*. My name is Zolta*n*. They are not the same name. A: Good! Maybe you’ll think twice about bringing that question again! Those Battle of the Planets questions have haunted me since that show came on Canadian television when I was in public school! Q: Do you have any unresolved childhood issues? A: No! Well … yes … but that’s another FAQ. A member of the Zoltan cult from "Dude ... Where's My Car". When I went to the Beaver Open, a footbag tournament in August, 2001, I was followed around by a bunch of little kids who kept on whispering and giggling when I walked by. Finally, being overly curious, I asked them why it was that whenever I passed them, they would always put their hands together in the form of a Z, and whispered the word “Zoltan” as loud as they could. They then told me about this movie, which is a cross between Bill and Ted’s Excellent Adventure and something even dumber. When I got back home to Toronto, I saw the film on video – it was quite the waste of time … though I must say that this movie has at least got people to stop mentioning the Battle of the Planets thing (see questions above), which can only be good. And if you are ever in Oregon in August, check out the Beaver Open. It is really fun. Just don’t call the sport footbag “hacky-sack” please. Q: Wasn’t there a raven named Zoltan in the Stephen King book The Gunslinger – The Dark Tower I? At the sound of its name the raven croaked again and flew across to Brown. It landed on the dweller’s head and roosted, talons firmly twined in the wild thatch of hair. Eddie thought it over carefully. Roland had spoken of a thousand things as the two of them made their tortuous way up the beach from the door marked THE PRISONER to the one marked THE LADY OF THE SHADOWS, and he had mentioned what seemed like a thousand in his fever-heated monologues — Alain, Cort, Jamie de Curry, Cuthbert (this one more often than others), Hax, Martin (or perhaps it was Marten, like the animal), Walter, Susan, even a guy with the unlikely name of Zoltan. Q: (Did you know that in the game) Might and Magic (there is a) wizard that is in your party (that) carries the name? A: Congratulations! That I didn’t know, although there seems to be a whole bunch of references to this wizard on the web. Might and Magic seem to be a PC adventure game. Anyone have a picture? (Thanks to Michael J. Lamb of Orlando, FL for mentioning this one as well as the Dude Where’s My Car reference in an e-mail). Q: Aren’t you a computer program? Q: But wait, I thought Zoltar was the name of the evil guy who controlled the Cylons in Battlestar Galactica! A: My is Zoltan, not Zoltar. And no… that’s Baltar, played by John Colicos (and later by James Callis). 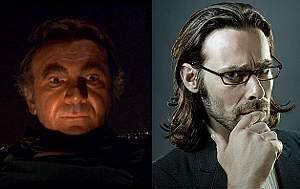 And that isn’t even close to Zoltan, so I’m not even going to waste my time commenting any further on that question … except to say that Galactica was one of the best SF shows from my childhood and that John Colicos who starred as Baltar is an amazing actor … much better than that hack Lorne Greene. But I digress …. 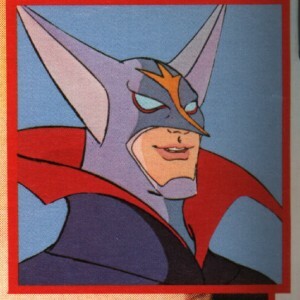 Q: Isn’t there are guy named Zoltar in that freaky 60’s cartoon, Space Ghost? A: My name is not Zoltar. And I think you are referring to Moltar (or his step-brother Zoltran), but I must say I don’t know anything about this show, so you’ll have to take my word for it … but I thought this was the Zoltan FAQ, not the Zoltar FAQ! Which brings me to the next question …. Q: Isn’t there a Zoltar in the movie Big starring Tom Hanks? A: Sorry … that’s another Zoltar … you know, I looked up the name Zoltar in a few baby books and in a few dictionaries, and there ain’t such a name. So why the f*** is it so popular in popular culture, and not me? I think it is time that I speak out against this … stay tuned for a new web page on this subject. Anyway, Zoltar Speaks was the name of the machine that turned the main 12 year old character into Tom Hanks. I would never do that. I would have turned the Kid into Telly Savalas. Don’t ask me why … I just would. 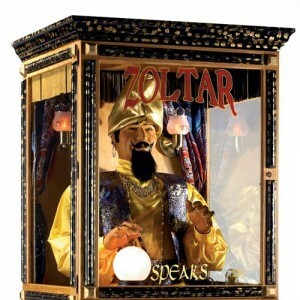 New Information: I was told that “Zoltar Speaks” is based on a real arcade fortune teller machine that is actually called Zoltan. Then, someone named Vic told me that “Zoltar Speaks is not related to, except for name similarity, the real 1969 Fortune Teller game known as Zoltan. This is a very common misconception among coin-op collectors, too. See http://marvin3m.com/arcade/zoltan.htm for additional information” . Interesting, no? A: Oh Man, That’s not Zoltan … that’s Shazam! Q: Why does your friend Skeezix draw the Shazam logo on all the whiteboards at work? A: I think it’s some sort of disorder. Too much Cherry Coke, methinks. Q: So… if you are half Japanese and half Ukrainian/Russian, why do you have a Hungarian name? A: That is another subject of debate. I heard from my Dad that I was named after the great Hungarian composer, Zoltán Kodály, because my Dad liked his music. One uncle, though, crushed my self esteem at an early age by telling me that I was named Zoltan because the night of my birth, my Dad had a party and was trying to figure out what to name me. Many drinks went by as he was sifting through a baby book, and when he came to the last page he looked at it and said, “I dunno … there are so many choices … hmmm … Zoltan is the last name in this book! That’s a funny name, let’s name him that”. 1. My Dad doesn’t drink that much. 2. My Dad has a few record of Zoltan Kodaly, copyrighted years before I was born. However, I still occasionally tell the story at parties. It is a great icebreaker, and makes people believe that I must have bigger problems than them, making them feel better than before they came. Q: But I thought you told me that you were named after a dead cat! Before I was born, my Dad had a Cat named Kimio. He was very fond of it (and so was my future Uncle Jim). On the day I was born, my future Uncle Jules ran over my Dad’s beloved Cat. My father was choked up about it, so he named me Kimio. My Uncle Jim did not talk to my Uncle Jules for a long time, apparently. Q: Does anyone think those stories are not funny? Q: Hey, did you know the is this really cheesy movie called Zoltan Hound of Dracula ? If you haven’t seen the film … you may want to rent it just for the laughs. Lot’s of neat driving scenes in it. 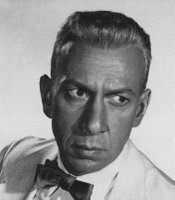 Q: Who is Jose Ferrer? A: See the original Cyrano de Bergerac sometime and you’ll realize this man is one of the greatest actors who ever … HEY! … this has nothing to do with me! Stop that! Next question….? 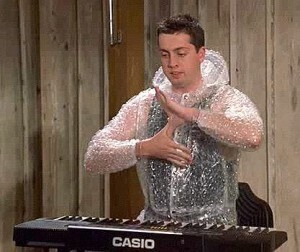 Q: By the way, do you know Zoltan <insert last name here>. A: Although this seems like a totally inane question, I was asked this quite a lot. So, in 1995, I maintained the official Zoltans on the Internet™ web page, which eventually became Zoltavista, the official search engine for Zoltans on the Internet. (Unfortunately, it no longer exists. One of these days, I’ll put it back). Q: Zoltavista? Man … you’re a freak! Q: It seems to me that you must be pretty obsessed with your name to have a whole FAQ on it. A: That wasn’t a question … Next? Q: Do your brothers have such weird names? A: No .. they are named Lorne and Adrian . Go figure. Q: So, Zoltan … have you been working out lately? A: No. I’m the quintessential anti-jock. Thanks for asking, tho’, poD-. Q: How often is this FAQ maintained? A: Bi-occasionally. Or whenever I get another amusing question asked that I want to post here. Q: So then it is not a FAQ (Frequently Asked Questions) list, but an AQ (Asked Questions) list … right? A: Well, yeah, except for the fact that there ain’t no such thing as an AQ. Would you visit a page called The Zoltan AQ? I don’t think so. Besides, most of the questions are asked many times … so it is kind of a FAQ. Q: I have a question that is not posted here. A: Leave a comment below . All questions are answered. It may not be a useful answer, but it will be an answer. I was named after my father who was born in Romania and moved to Budapest, Hungary with his father. My father came to the US in 1956 because of the Russian Revolution. He came to Grand Rapids, MI because he had a step brother living here. I myself still live in Grand Rapids. My father passed away 2 years ago at the age of 82. He worked for Keeler Brass Co. for 32 years before he retired. It was interesting to find out more about my name. Anybody who wants to know more about me or my father please email me back. I have an Uncle in Budapest named Bela Bognar. He is a mechanic. BAHAHA….oh dear god dear lord, it was absolutely amusing to read the questions and answers as a Hungarian girl living in Hungary among THOUSANDS OF ZOLTANS (or maybe I should write “Zoltán”). And it is interesting how in the other side of the world it’s unique because in Hungary it really isn’t. It is very popular though….kids try to make their names unique by using such nicknames as Zoli, Zolika (although these are for little boys only)or Zola. I can imagine the googly eyes when someine says that their name is Istvan, Gabor, Csaba, Gyula, Gyozo, Mate, Zsigmond etc…. That was a lot in regards to a person’s name. A name is in place of a number. It’s just to give us identification. The name is not WHO we are. However, many will make a name for themselves in this century. Not because of their name but because of something remarkable or impressive or valuable to our community and human race. Anyone capable of drawing a crowd or attention for either an action or contribution, big or small has left an imprint on another’s mind or a mark within society. This comes from their mind and/or heart. Not from their name. However, those left with a name sake are under extreme pressure. They are expected to rise up to the occasion as their predecessor. All the other names used above, being either of evil, cartoonish, or historical nature are in no way in the same category as Zoltan. Although; the statements and questions are very much directed at Zoltan’s expense … It is Zoltan’s nature to be light hearted and finds the humor behind the questions. Does this mean the definition of Zoltan is light hearted and humorous? If so … the name Zoltan will be used more often and we will have cloned him. Didn’t we stop making odd-ish references to people’s names once we got past grade school? Perhaps some comments were still active in high school. But at the age of working in a professional environment is now deemed as un-acceptable. This could be treading towards harassment and most certainly … immaturity. There are all kinds and all types of humans around this big world. There are names we have never heard of before, which may come to light. There are some names that are not likely to be used commonly again; such as Adolf Hitler, Ted Bundy, and Charles Mason… to name a few. Reason being these names have a stigma attached to them. I guess it’s only human nature to try and connect with a person, but let’s leave the attempt to connect the name with another person’s character out of this. Take the person for who they are. Accept what you see and don’t try to put a person into a category. Think outside the box and look pass the name / label / identification number. Most of us high functioning humans don’t usually fit in an average box. Right Zoltan? @Julia: Now I’m starting to feel guilty for my plan to take over the world …. This was really funny to read. Indeed in Hungary it is a very common name. In one thing some people were actually right. The name itself is originated in the turkish word for sultan, so your name does mean Sultan. So feel free to take over the world! :D Hungarians have been living together with turkish tribes, before they settled where Hungary is now, and later also we have benn occupied by the Turkish empire, so no suprise about the name.